Hi guys, its TGIF again. I guess I will be update my outfit post on Friday because is the time that people are super lazy at work. Because is gonna be weekend again! My luggage preparation for travel is now loading 30% of it because I still waiting for my new clothes to reach my doorstep so that I can bring it along with me. 18 days more to go! Today outfit will be more on super casual and comfy wear. Why is it because is my favorite culottes again! I got it in my current favorite color, khakis! I just fall in love with this color recently because I feel it was much mature color and different color to try. Grey and Khakis can be a good matchy color if you would love to choose a color beside from White and Black. You can see that this look is more to comfy and relax style. I am not a very tall or slim girl. 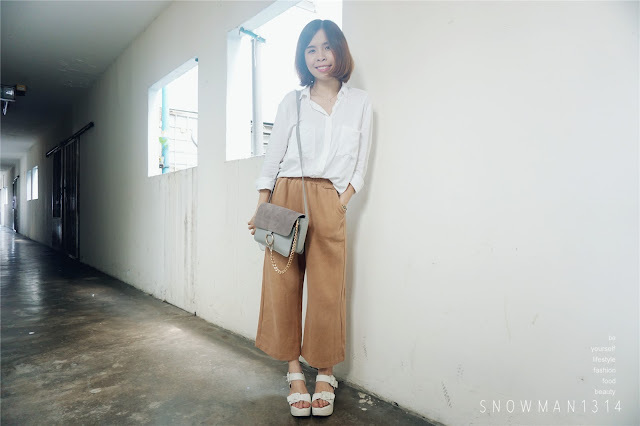 So wearing culottes might be disadvantage for me,if you are looking for a pair of culottes I will encourage to get a pair of culottes which are not full length but 3/4 or 2/4 length will be fine for height 155cm. But I always find it was quite hard to find 3/4 length culottes because all the culottes are quite long and since I am just 155cm. The 3/4 for most of the model height will become longer length for me. Still!! I just not give up but continue to buy more culottes. Now I am looking for a PINK culottes. No currently I am waiting for it to reach my doorstep. This culottes I have bought is the wrong material because this is more knit material which I find it quite warm to wear at Malaysia. I wish to get a more light weight material, should I or not? 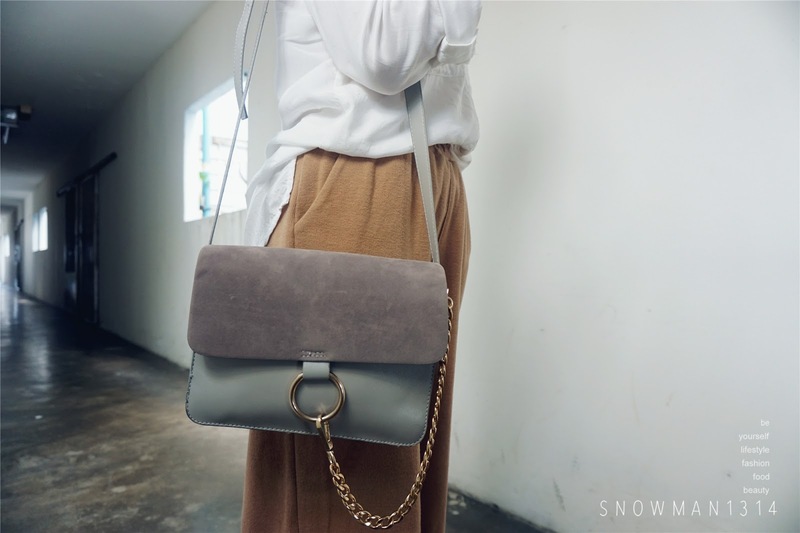 Yeay keep bring this new shoulder bag out recently. I find it quite matchy with my outfit since it was all in cool tone outfit. Surprisingly it just match out well. At first I wish to get a whole khakis outfit but turns out my new khakis shoes is not with me. So I have to just pair out with different shoes and bag. 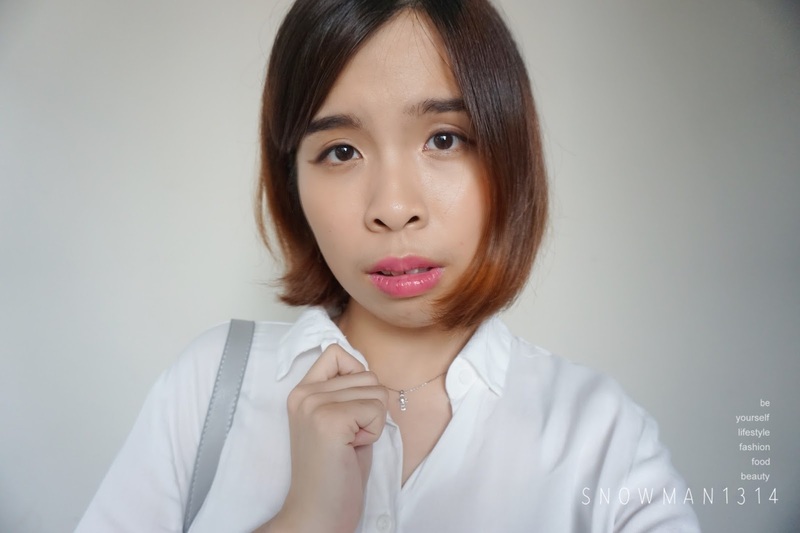 I get this new white casual top from H&M on the day before. I am looking for a new white shirt which brings out casual and comfort look. I fall in love with this top and purposely bought one big size than my usual size. I can't wait to try this with Jeans or any bottom that I like. Closer look of my Culottes. No Zip and No Tightness which is why I am so obsess with culottes. Thanks Lee Ying, yes it was my favorite! like ur today outfit. look casual yet stylist !! Thanks dear yes it is! Love your style. 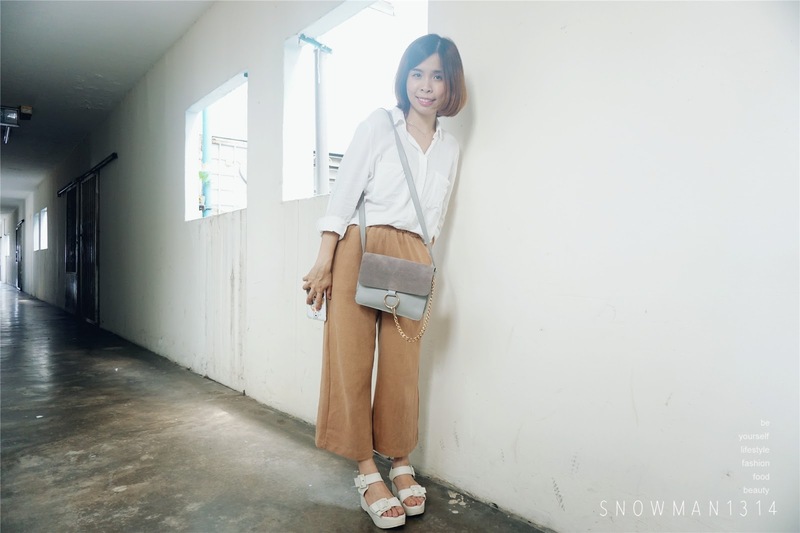 It's really comfortable to wear culottes out for a date. I have always wanted to buy culottes but too scared as am not sure how to style them. Thanks for the tips. The culottes look really nice and comfortable. I think many ladies will appreciate them. Thanks for sharing as now I have more gift ideas. Very helpful. I love casual looks. Furthermore you pair it really well. I love it! 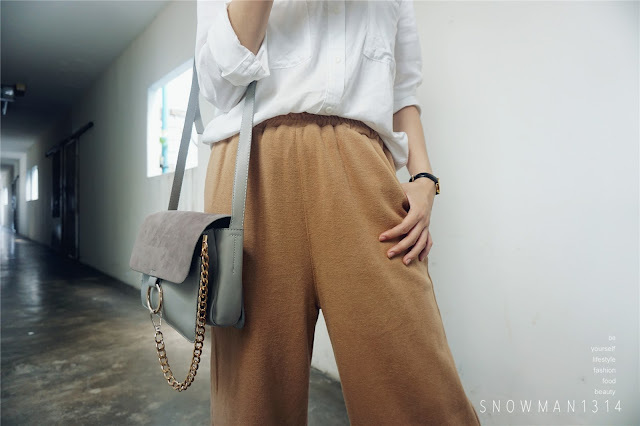 I love the White Blouse & Grey Chain Crossbody Bag!!! nice outfit, i like your casual style. khaki is such a classy colour but sadly i cant handle it because of my skin tone! keep up the good work, dear. i have few culottes too! but mine are all in black and white lol. love yours in khaki color! 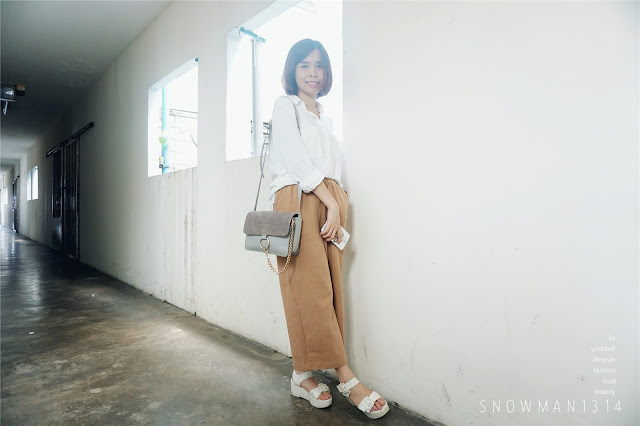 I like your casual and comfy look, culottes is one of my choice when ever i need to run my errands. Yes it was comfy and comfortable with it! Cool outfit! This dress suits you so much. Color combination is great. Very casual outfit. Great for weekend outings. I love that your top is a size bigger. Brings out the casualness. Love this casual look and the colours are too nice making it very cool. Really like your outfit dear. It looks just right for you. I like your pairing with the shoes too. i've seen many fashionistas donning this culottes lately. i need to by myself one too lah. Stylish yet comfortable. Definitely suitable during hot weather as how it is currently in Malaysia. Love wearing Culottes too. Comfy and stylish. Also loving the bag very much.